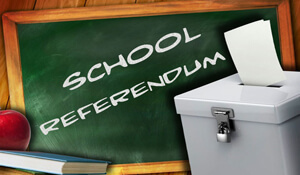 We are excited to announce that two of our school District Clients, Hamilton Township, in Atlantic County, New Jersey and The Ewing Public Schools, in Ewing, New Jersey, passed public bond referendum votes on Tuesday, October 2, 2018. Both votes passed by a significant margin, allowing these important projects to proceed to the design development and construction document phases. Both Districts will ultimately benefit from many building infrastructure upgrades that will address deficiencies that are overdue for improvement. "Voters Approve Hamilton School Referendum"
"Ewing Voters Pass $59.3M Bond Referendum to Improve Township Schools"